Disclosure: Samples for this post were provided from OrientalTrading.com. 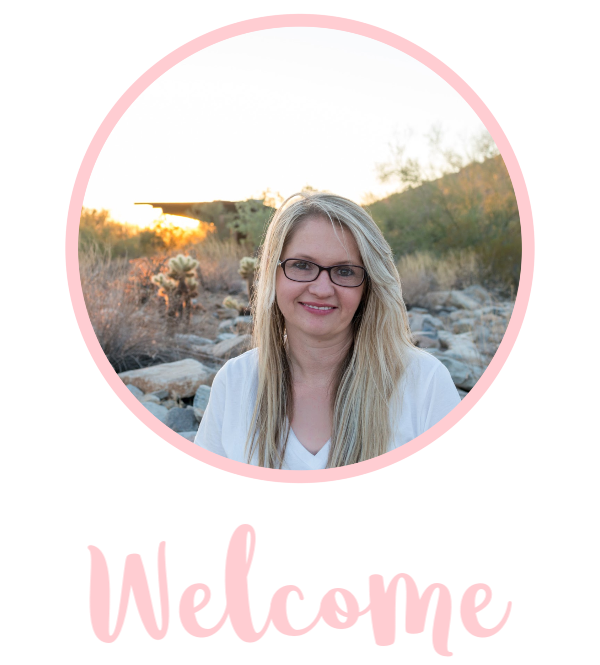 There are also affiliate links in this post which means, when you make a purchase, we’ll make a small amount off your purchase. Thank you! 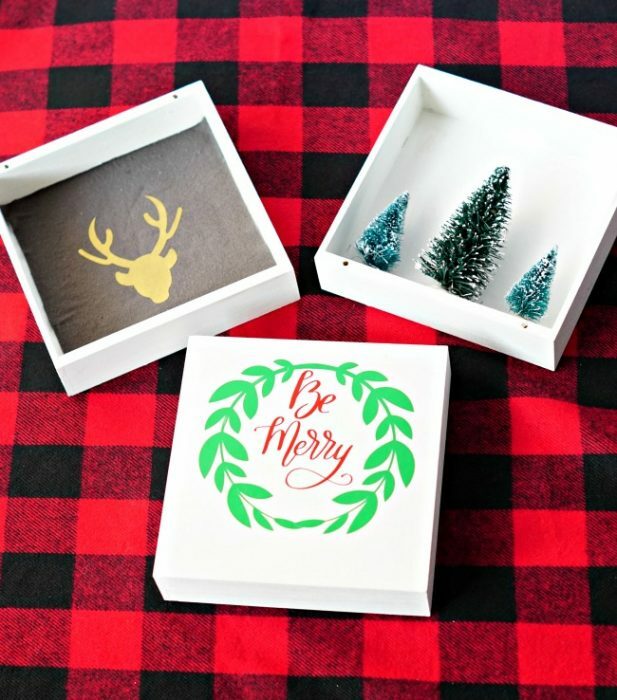 If you are feeling crafty this holiday season, these Christmas shadow boxes are easy to make! You can make them to hang on a wall or you can place them on tables for decor! For the paint, I just used an inexpensive white matte acrylic paint. I painted 1-2 coats on each of the boxes. To adhere the fabric to a box, use a spray adhesive. I use this one from Elmer’s. 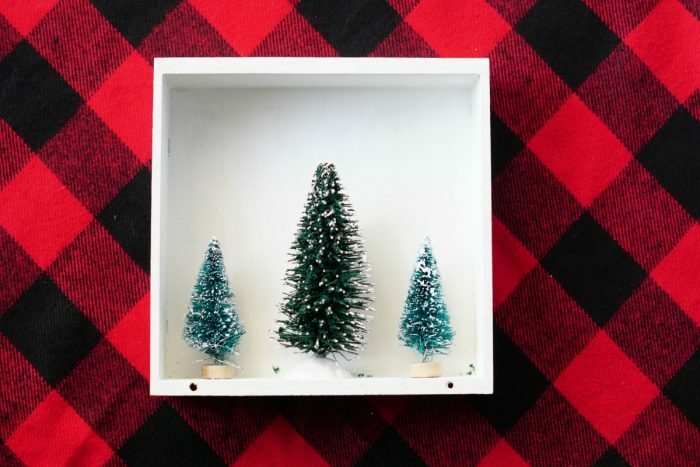 To adhere the trees to the box, simply use your hot glue gun. I used a gold HTV (heat transfer vinyl) and red and green adhesive vinyl for this project. I cut the files out on the Cricut. 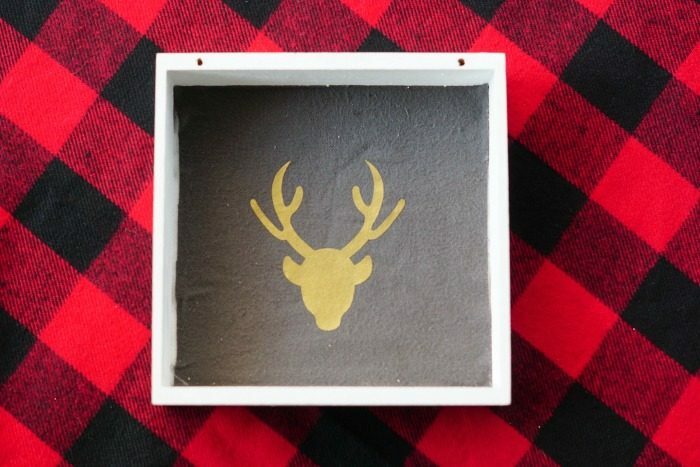 The deer is in the Cricut access store. 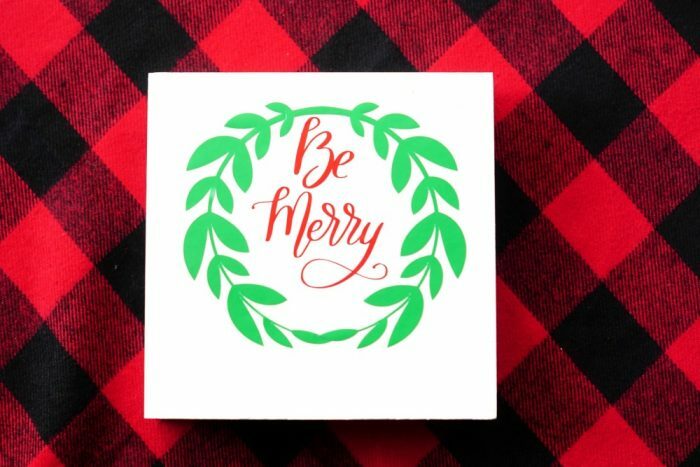 The “Be Merry” is a hybrid of files I had purchased and then manipulated in Cricut’s Design space. The HTV was ironed on with the Easy Press .